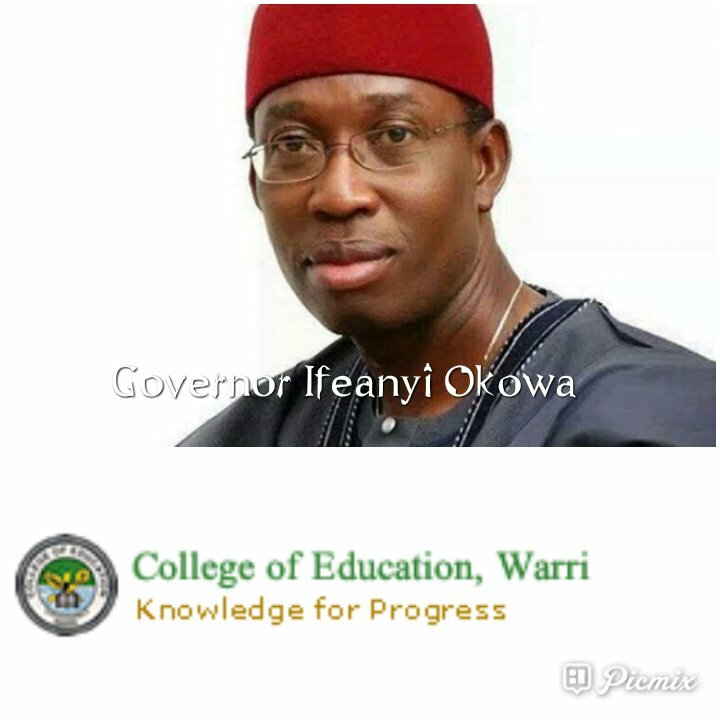 The 99 College of Education, Warri, COEWA Staff whose salaries' payment was controversially stopped by Delta State Government January 2013, have vowed to mobilize against the re-election bid of Delta State Governor, Dr. Ifeanyi Okowa in the March 2 Poll, Fresh Angle International has scooped. Your soaring tabloid gathered that anger of the affected workers against Governor Okowa was" his refusal to implement a court judgment and deliberate delay tactics via seeking unnecessary appeal over a straight forward judgment". The workers who were engaged between August 2012 and January 2013 as staff of College of Education, Warri, dragged Provost of the institution, Delta State Government, the State Attorney -General and two other defendants to National Industrial Court, Awka in Anambra State and got favourable judgment. In the judgment delivered March 16, 2018, Justice Waziri Abali of the National Industrial Court, Awaka, declared that the 99 COEWA Staff be called back to duty and all their salaries as well as other entitlements implemented. But the Okowa administration has refused to implement the judgment on the excuse of taking the case to Appeal Court as the affected staff and their families languish in abject poverty. Arrowheads of the workers who spoke exclusively to this newspaper weekend on condition of anonymity, vowed that if the Okowa led administration fail to implement the court judgment by the end of this month, January," we will not just vote against Okowa, but use our last strength to mobilize against his re-election bid". According to them, apart from the difficulty of feeding themselves, members of their families, inability to pay their house rents and children's school fees, one of their colleagues lost his wife August 2016 ," because he was unable to pay the medical bills". They lamented that efforts made to make the state government see reasons to implement the judgment, including reaching out to prominent political leaders in the State, have met brick wall.